Several of the Franklin County Library System libraries have spaces for the public to use. Some can hold up 80 people and some are perfect for one-on-one meetings. Meeting Room Policy & Form – Please read and fill out the last page if interested in reserving one of the rooms below. Then drop it off at the library where you would like to reserve a space or email it to the appropriate contact listed on page 3. Smart televisions and projectors may be accessed for multimedia presentations through HDMI connections or Google Chrome Home on laptops or Android devices using library wi-fi and password. Take a virtual tour of Coyle Free Library to get a feel for these spaces. Community Room A & B: Seats 60 to 80 people and can be divided into two rooms. Community Room 1 & 2: Seats 60 to 80 people and can be divided into two rooms. History Room 3: Seats 15-30 people. Lilian S. Besore Memorial Library in Greencastle, PA is an official U.S. Passport Acceptance Facility. Agents at Besore can accept your application, answer any questions you may have and help you better understand the passport process. What’s a good reason to have Besore Library process your application? The passport acceptance fee and passport photo fee that you pay stays at Besore and is used for new book purchases and programming. By choosing us, the whole community is benefiting! Please call us at 717-597-7920 (ext 3) to make an appointment (appointments are required). Applying for a U.S. Passport? PASSPORT RENEWALS – If you are age 16 or over and eligible to use Form DS-82 (see travel.state.gov for eligibility requirements), you do NOT need to pay the $35 acceptance fee when renewing your passport; the cost to renew a U.S. Passport Book is $110. If you are eligible to use form DS-82, the cost to apply for a U.S. Passport Card is $30. We take your passport photos for $10 per person. Keep in mind that two separate payments are required. Passport acceptance fees are paid directly to the Franklin County Library System, while passport application fees are paid directly to the Department of State. Valid payment methods are listed below. You may request the Department of State’s Expedited Passport Processing Service for an additional $60. Additional overnight fees also apply. For current passport processing times, please visit www.travel.state.gov. Select, complete and print a Passport Application Form in advance to shorten your visit. We also now take passport photos for an additional $10. All applicants, including infants and children, must be present. AND Current proof of identity and copy of ID, front & back – example: valid driver’s license/State ID/Government or Military ID. A Permanent Resident Card is also required for children of a Naturalized parent. A completed, UNSIGNED Passport Application DS-11. The application must contain no cross-outs, white-out, or errors of any kind, and must be completed in BLACK ink. One (1) color passport photograph, two-inches square, taken within the last six months, sharp focus with a white background. These may be taken at the library for $10. Two parents with proof of relationship for applicants ages birth-15; or a parent with a notarized consent form DS-3053 and a copy of both sides of non-appearing parent’s ID. Proof includes birth certificates and adoption papers. One parent for minors ages 16-17. Pennsylvania State Offices—most state offices have only the most recent vital records information. Check under the specific record type you are looking for to see whether you should inquire at the state office or the local offices. Birth Certificates may be obtained for a fee payable by check or money order to: Vital Records. You must present valid government-issued photo identification. Office hours are Monday – Friday 8:00am to 4:00pm, excluding State holidays. IMPORTANT: To obtain a PA Birth Certificate that meets the Dept of State criteria to apply for a US Passport, you must indicate that you are requesting a Birth Certificate for ‘Travel’ or ‘Passport’ purposes. Franklin County Library System is going through a re-branding process. 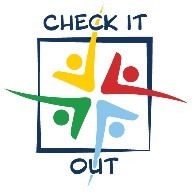 Let us know what you think about our new look! 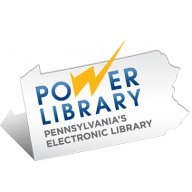 POWER Library e-resources provide access to thousands of full-text periodical articles, newspapers, a major encyclopedia, photographs, pictures, charts, maps, and reference material for Pennsylvanians of all ages.